Buzzing Across America: Will You Bee Mine? Start off with making your thumb print bees. Get your thumbs full of yellow color and press onto your blank card. Once the paint or ink dries, use your black marker to add details like wings or a smiley face. Then add other decorations, such as drawing flowers or writing a message like, "Will you bee mine?" If you really want to give a sweet treat, try making this delicious recipe for honey filled chocolates. This recipe will definitely require some assistance from an adult. Honey is a great gift any time of the year, but with Valentine's Day, you can show how sweet you think someone is by giving out delicious honey treats. 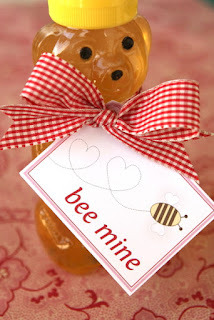 Check out these cute homemade valentines that use honey straws! 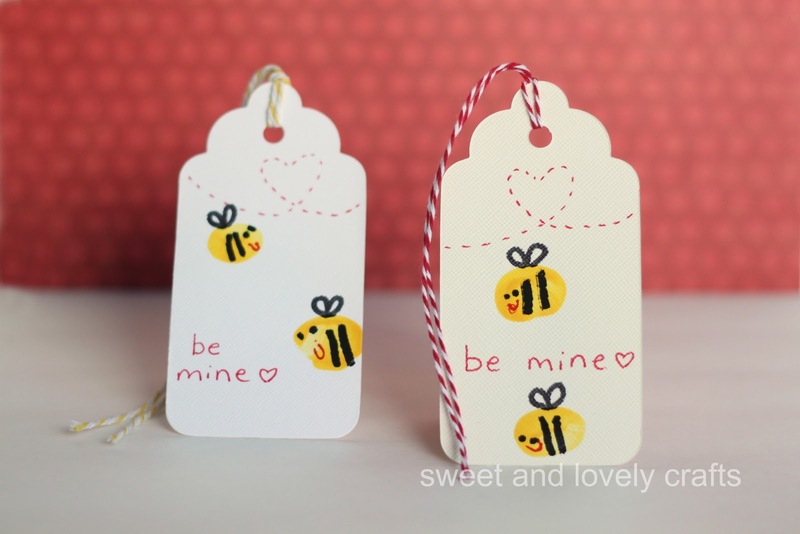 Or, simply make a "Bee Mine" or "You're So Sweet" tag and attach it to your favorite honey bear with a ribbon. As the American Honey Queen, I would love to receive honey for Valentines!